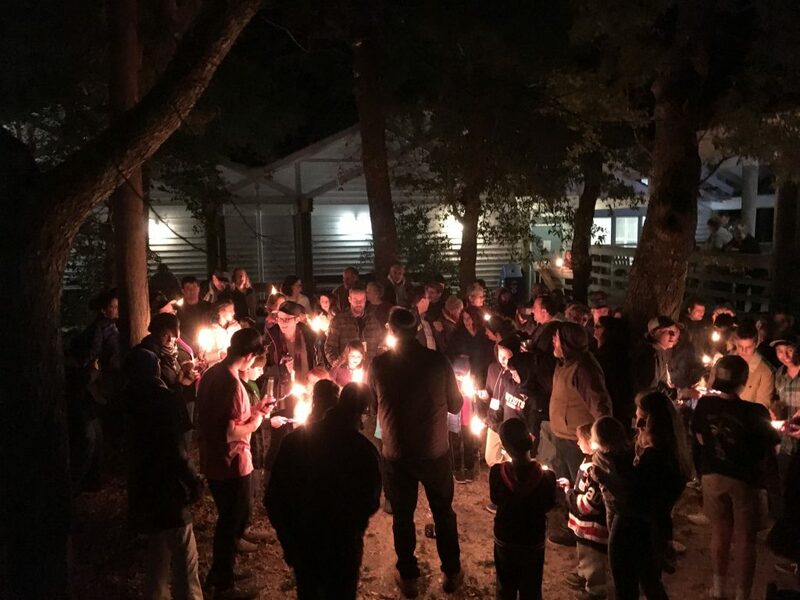 Each December, more than 100 Beth El members of all ages gather together on the North Carolina coast for a weekend of eating, praying, and schmoozing. New members are highly encouraged to attend, and the Shabbaton is a wonderful way to fully integrate into the community. As an incentive, new members receive a one-time 25% discount on registration fees. Please email Alan (alan@betheldurham.org) to be added to the waitlist, and include the # of people you would like to add. 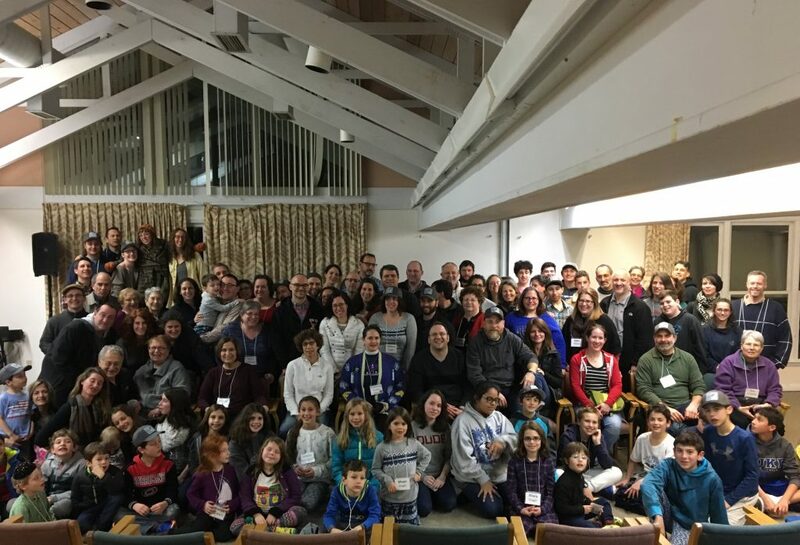 The 2018 Beth El Beach Shabbaton is set for Friday, December 14 – Sunday, December 16, 2018 (with a Thursday night arrival option). Here are 6 explanatory paragraphs for newbies to read before getting to the fun part. If this is not your first Shabbaton, scroll down to the bottom of the page to begin the registration form.1. 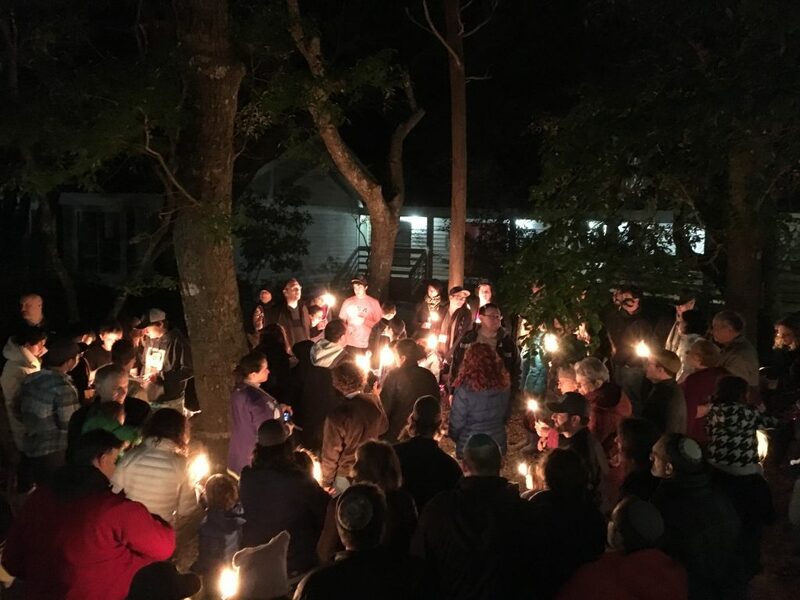 The Shabbaton is an extraordinary weekend when over 100 Beth El ‘ians spend the weekend together at the Trinity Center in Salter Path (Emerald Isle, NC). You drive there (takes about 4 hours), you park your car for 2 days, and you allow yourself to relax and be immersed in Shabbat and community. There is time to eat, pray, study, play, schmooze, laugh, nosh and eat. If you have not attended before and would like to know more, please talk with someone who has attended, or contact one of us.2. Cost. This is an all-inclusive package that includes room, board and gratuities. The costs are listed below. Scholarship funds are available if needed. To request scholarship funds, just complete your registration form and note that you are requesting scholarship funds on the comments section towards the bottom of the form. Feel free to contact one of us confidentially if you have any questions about that.3. According to Sir Isaac Newton’s 18th Law of Physics, if we want to provide funds to those in need, someone needs to help make those funds available. Perhaps you are someone. Contributions to the Shabbaton Scholarship fund allow us to maintain Beth El’s tradition of ensuring everyone can participate regardless of ability to pay. Please consider making a donation to this fund. Perhaps just add a multiple of $18 to your registration fee? 4. If you have specific dietary, mobility, rooming or other needs, make sure to note that in the appropriate portion of the registration form. We do everything we can to meet all the varying needs of Shabbatoners, though it is not always possible to accommodate every request. Your flexibility and/or understanding is appreciated when needed. 5. You can pay a little extra to arrive on Thursday and get an extra 24 hours at the beach. Even if you arrive late that night, waking up at the beach is a great way to relax and settle in before Shabbat. Informal studies suggest that Thursday people have more fun. You could be one of those more fun having Thursday people, too. 6. Fill out the form now. The Shabbaton fills up quickly every year, so we encourage you to complete the form and pay as soon as possible (now-ish). The early bird pricing (prices listed on the form below) are good until November 21, 2018. The prices will increase after November 21. Note that your registration is not complete until your payment is received by the Beth El office or you submit it now via Credit Card/Paypal after pressing submit. Due to limited space, your registration is not guaranteed until you receive notification from us. Please don’t hesitate to contact us if you have any questions or concerns.